In between the lead-up to Eurovision and my holiday in Copenhagen, and caring for my mum during her recent illness, I did actually manage to watch some telly, believe it or not. I don't usually watch "ESCAPE TO THE CONTINENT" (BBC2) - when you've seen one British-couple-buying-house-abroad-show you've seen them all, but faithful travelling companion alerted me to an episode set in Paphos, so I made an exception. (Of course our holiday to Paphos in March had to be cancelled, so watching this I guess was all a bit 'here's what you could have won'). It's hard to believe there was once a time when the nation's media got itself worked up about breakfast TV, but I remember it well. 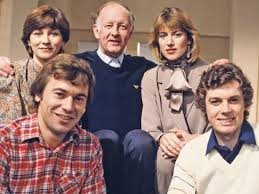 "THE BATTLE FOR BRITAIN'S BREAKFAST" (BBC2) went back in time to 1983 when TV-am's "Famous Five" battled the likes of Frank Bough for ratings and jumper-wearing supremacy. Inevitably it wasn't long before the serious news agenda was dumped in favour of Roland Rat etc. 31 years and three houses ago, I couldn't have cared less and never watched either of them. My only breakfast TV experiences were Chris Evans' glory years on "The Big Breakfast" and later on I was probably the only person in Britain admitting to watching the early days of the ill-fated "RI:SE" on Channel 4. That probably had everything to do with my 2002 crush on Mark Durden-Smith. A long-lost old favourite returned to our screens: "FIFTEEN TO ONE" (Channel 4) with a new host, Sandi Toksvig. I forgot just how brain-challenging this quiz is, which I guess is a refreshing change from the increasingly dumbed-down range of quizzes/game shows on our screens, most of which I avoid due to their reliance on so-called 'celebrities'. At least this is one of those rare shows which still features members of the public rather than the dreaded 'celebrities'. 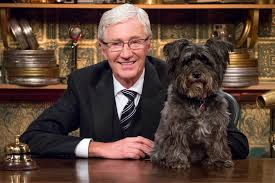 "THE CHASE" (ITV) went on a little break and in its place came the return of "THE PAUL O'GRADY SHOW". There is no doubt that Mr O'Grady is a TV rarity these days: he seems to have genuine empathy with the viewing public, however he also has another role to fill, that of chat show host. Unfortunately the chat show is only a plugging vehicle so he inevitably has to take a back seat to the guests who are never just there for a chat/pure entertainment value, but instead conveniently have the ulterior motive of something to plug. I wasn't so keen on a new game show on Challenge, "TIMELINE" where the basic idea is to place a number of events in order of when they occurred. To paraphrase Brucie, "that's all there is to it". But not enough to keep me watching beyond one episode. Haven't watched many films for a while so for a change I checked out "STAND UP GUYS" (Sky Movies). With Al Pacino and Christopher Walken in the two lead roles, then that was a guarantee of quality. It was mainly a two-hander, with these two actors on screen for most of the film, so that needs good actors to carry this format. However, I can't understand why the film was billed as a 'comedy'; it did have its funny (and occasionally gross-out) moments but was actually more poignant in places. It wasn't great, but it was ok. I had a lot going on around Easter weekend so didn't get the chance to watch the UK TV premiere of "THE STONE ROSES - MADE OF STONE" (Channel 4) until very recently. This was a very personal film by Shane Meadows, esteemed British TV and film director, who is obviously a massive fan of the band. He managed to get up close and personal with the band members in a way that many other interviewers failed to do - the Roses were notoriously difficult to interview back in the day - but not quite enough to smash the band's mystique, which remains intact. Aside from the recent rehearsal clips and the Heaton Park footage, the film also focused on the fans whose love for the band has never died. It may not be the definitive film about the Stone Roses' history past and present - but it will do till that comes along. 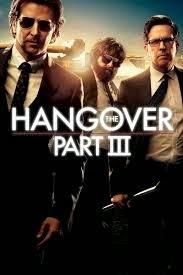 If someone made a law that you should only make one film and never make any sequels, then one particular film should be Exhibit A. I love, love, love "The Hangover" but they should really have left it there. The second movie in the franchise was best forgotten and so it was inevitable that I should check out "THE HANGOVER PART III" (Sky Movies) to see if it had any redeeming features. Well, what I will say is that it wasn't quite as bad as the second movie, but still a long way from the greatness of the first in the series - and your views on this movie will depend on whether you find Mr Chow either (a) side-splittingly funny or (b) intensely irritating. In the first movie he was (a) but for much of this one he was (b). It was a lazy and tiresome plot, and I should have had my suspicions when they decapitated a giraffe for laughs. "BUSINESS BOOMERS" (BBC2) has done what it says on the tin and examined some successful companies over recent years. Quite an interesting series too. I watched the shows about the rise of coffee shops in the UK and also the dominance of Amazon over recent years. Time for a flashback now. I wanted to mention something which we watched earlier in the year, which I forgot to mention in a previous edition of Square-Eyed. "THE STREET" (BBC1 Scotland) was a fly-on-the-wall short documentary series about selected people and businesses in and around Glasgow's famous Sauchiehall Street. And the Scottish media went ballistic. Why? Because this documentary dared to show famed busker 'Melo' being racially abused by drunken low-lifes; late-night drunkenness; sexist comments by a bar manager; and a sandwich shop boss's foul-mouthed tirades towards his staff. We should all know by now that there is nothing 'real' about 'reality' TV, but at the same time it would be wrong to sweep all this type of behaviour under the carpet. The fact is that such behaviour does go on, probably in any city in the UK, but perhaps it is harder for the media to deal with, being so close to home. The racism outrage was a particular hot topic in the local tabloids at the time. Perhaps that illustrates a stronger sense of fairness and decency in this part of the country, and if so, then that's something positive which can be taken forward from this series. In just a few weeks, the Commonwealth Games will be staged in Glasgow. But how does such a massive event impact on the lives of ordinary residents of the Dalmarnock area of Glasgow? That's the premise behind the latest BBC Scotland documentary series: the honest and very topical "COMMONWEALTH CITY". For such a major sporting event, a price has to be paid, and this very good series has told the other side of the story - the people evicted from their homes, and the businesses bulldozed to make way for Games venues and the Athletes' Village. As with the London 2012 Olympics, there is much talk about 'legacy' but it would be fair to say that the long-term benefits of the Games for the 'local' residents remain questionable to say the least. Saturday night - check. Subtitled drama - check. But wait! It's not BBC4 but BBC2 which was the go-to place for an excellent European drama recently. "GENERATION WAR - OUR MOTHERS, OUR FATHERS" was a superb German-language mini-series. It's also been very controversial as it looked at WWII from a purely German perspective, something which hasn't been on our screens before. The story focused on five friends - brothers and soldiers Wilhelm and Friedhelm, singer Greta, nurse Charly, and their Jewish friend Viktor who ended up joining the Polish partisans. I won't spoil the ending as some countries have yet to see the show; all I'll say is that some characters survived and others didn't. This inevitably is a series which has drawn much critical comment about the role of ordinary Germans in World War II. We can't say how much of it is true - we weren't there after all. But regardless of your views about this series, it needs to exist to convey the horror of war and the futility of hatred on racial and religious grounds. As the recent European elections have shown, with the rise of far-right/racist/anti-immigrant parties, history has a habit of repeating itself, and now it is our generation which is being catapulted into a time of hate. It would appear that no lessons have been learned from the horrors of World War II. Anyway onto something a bit more mundane now: "CORONATION STREET" (ITV) which is into yet another BIG PLOT!, this time involving the murder of perma-tanned big-earringed barmaid Tina McIntyre. It's May of course, which has meant that they need to tie a BIG PLOT! into the rescheduled Corrie shows which in turn have to tie in with Britain's Got Talent week. (Almost makes ya think that Simon Cowell owns ITV!). Anyway Corrie's sensationalism knows no bounds, and despite their recent wins at the British Soap Awards for the (very sensitively handled/well acted) Hayley death storyline, I continue to despair at the rush towards sensationalist storylines, affairs and murders. When in fact a local 'street' can be a very mundane place, where the most exciting thing to happen is actually (a) an Amazon order being delivered or (b) a fence being painted. Life, eh!!! A quick mention for the recently-finished second series of "OFF THEIR ROCKERS" (ITV) which is Trigger Happy TV reimagined for the 'noughties' with a neat soundtrack and older people playing pranks on the young 'uns. We really like this programme here at EuropeCrazy HQ: it's funny, it's not mean-spirited, and there is a rare warmth about it which seems missing from a lot of modern day TV. "THE FOLLOWING" (Sky Atlantic) was the last place you'd expect to find any warmth. Far from it. This series may not get anywhere near the same publicity as the likes of "Game of Thrones"/"Breaking Bad" (both of which I have never seen, so can't comment on) but I thought the second season was gripping from start to finish, and dare I say it - better than the first season, completely outstripping it in twists, turns, and of course excessive violence/body count. Oh yes, Kevin Bacon and James Purefoy fans, there will be a season 3, although I have to really ask myself where it will all go from here. With holidays, caring commitments, telly backlogs and Eurovision, inevitably some TV remained and remains unwatched - hello Grey's Anatomy/Mammon/Wallander - but with the best intentions I'm hoping to catch these over the coming months. As I'm going to take a little blogging break after posting those long-overdue Eurovision reviews and my Copenhagen diaries (coming soon, peeps, I promise!!) Square-Eyed will be back at the end of July to review the traditional wasteland of 'summer telly'. Beyond the World Cup and Le Tour though, the challenge is to find something worth watching, although having said that, there probably won't be enough hours in the day to watch anything new! I'll also be taking stock of the first couple of months of STV Glasgow, our 'local' TV channel which is due to begin broadcasting this coming Monday, 2nd June. Summer is coming! And how do we know that? Because it will soon be time for SVT and TV4's summer music shows in Sweden. Today TV4 published the list of artists who will be appearing in this year's series of Sommarkrysset, the Saturday night entertainment show. Unfortunately in recent years TV4 has not allowed viewers outside Sweden to watch the show on their website :( however if you are lucky enough to pick up the show there will be the usual mix of old and new stars, and no surprise to see a few Melodifestivalen 2014 artists in there. 28 June: Anders Wendin, Stefan Sundström. 5 July: Charlotte Perrelli, Ebbot Lundberg, Vance Joy. 12 July: Yohio, Brolle and Andreas Johnson, Foxes. 19 July: Helena Paparizou, Linus Svenning, Kim Cesarion. 26 July: Martin Stenmarck, Nisse Hellberg. 2 Aug: Anton Ewald and Medina, Elisa Lindström. 16 aug: Alcazar, Electric Banana Band. Well folks, so much for all the good intentions. I'd hoped to write up and publish my Semi-Final and Grand Final reviews before this week was out, but it was not to be. Between my pre-holiday preparations and other commitments at home this week I haven't had a spare minute, so I've had to put this on hold until nearer the end of this month after I'm home from my holiday. PED - Post-Eurovision Depression - is a relatively new condition which has arisen over recent years in our fan bubble. We spend months watching national finals, speculating, predicting, soaking up every snippet of information, listening to every podcast, reading every blog post and message board, watching every rehearsal clip and then the semi-finals and final. We live with those songs for months, and the contest always gives them a new dimension. Our favourites become more special, and even the 'meh' songs go up in our estimations. And then....nothing. That, to the uninitiated, is PED. We Eurovision fans all suffer from it, and it manifests itself in different ways. Personally speaking, my PED probably won't really sink in till about early June this year, as I'm going on holiday and then will rewatch the shows and try to keep the memory of the contest alive until those aforementioned blog posts are written. After that, my theme song will probably "u-u-u-n-do my PED". I will always look back on 2014 as being a particularly memorable Eurovision year thanks to Twitter. I wanted to take the opportunity to thank all of my lovely online friends from Europe and beyond, old and new, who brought the Eurovision experience alive for this stay-at-home fan. It really was the next best thing to being there. 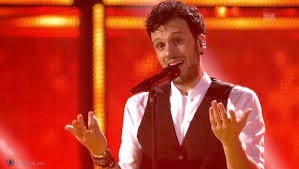 Whether it was cakes to bake, twerpy hamsters or a non-stop Sebalter obsession, I've loved every minute of it. You are all really extra special! Although social media has many negative aspects, when it comes to the Eurovision Song Contest there is incredible camaraderie and mutual respect. It remains a pleasure to be part of the Eurovision Twitter community: and to borrow last year's tagline - "we are one". During the working day, I keep my online life - and Eurovision obsession - under wraps. Not because I'm embarrassed or ashamed, but for the more realistic reason that people are just not interested. However, today I ended up in a conversation with two of my (much younger) colleagues in the section who happened to mention 'the guy in the dress' who won Eurovision. I was prepared for cynicism and scoffing, but I was surprised by their subsequent, positive comments about Conchita, and how fabulous she looked! I then jumped in and told them all about being a Eurovision addict, and I gave them a little backstory about Conchita. They did not laugh, or ridicule, and I felt inspired. They are not Eurovision fans, but their acceptance impressed me. Which brings me on to the changing attitudes towards Eurovision. Many of the 'older' generation of fortysomethings/fiftysomethings and beyond, who grew up with the boom bang a bangs and the diggi-loo-diggi-leys, have a predetermined prejudiced view of the Eurovision Song Contest, which if you're British, is amplified by the British media's often negative and cynical view of the contest. Sadly this has not changed: over the past week I have still read several media articles online which could have been written 20 years ago. 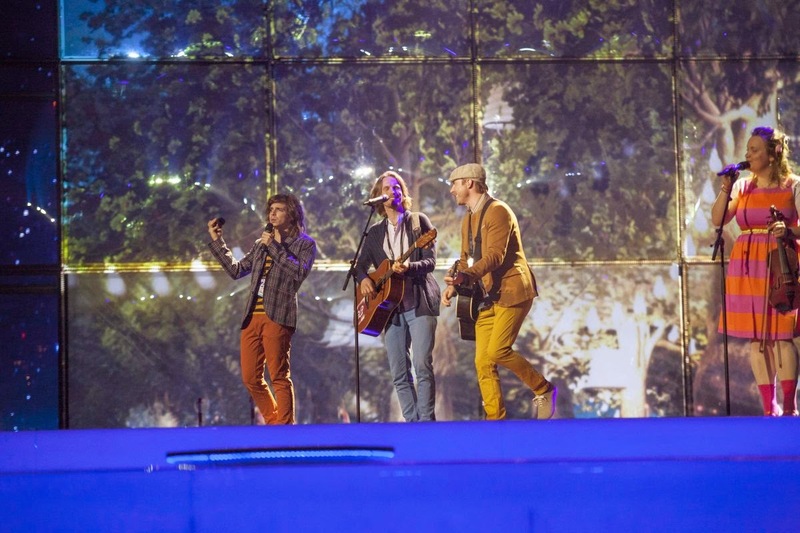 For them, ESC is an embarrassing camp-fest of dire songs won by a freak-show drag act; but that's more of a reflection on the poor quality of their journalism rather than on the quality of the contest which continues to go from strength to strength. Although I am part of that 'older' generation, it has been a joy for me to move on from the schlager, the key changes and the silly outfits into the modern era of technical excellence and musical modernity. For me, both 'phases' of Eurovision can happily live side by side. Admittedly there are aspects of the old contests which I miss, such as the native languages, the orchestra and the distinctive stage sets. I have the fondest memories of contests from all the decades from the 70s onwards until the present day, however I'm delighted by the contest's constant evolution and relevance. Next year will bring the 60th contest - there's absolutely no reason why it can't go on, and on, and on, for many years to come. The younger generation of Eurovision fans have brought a refreshing lack of prejudice with them and enjoy the contest for what it is: whether it's an inclusive beacon of tolerance at a time of increasing xenophobia and intolerance across our beloved continent; or just a showcase for new European music and a chance to discover new artists who would otherwise have been overlooked; or simply for the fact that the Eurovision Song Contest remains the continent's biggest and best entertainment show. I can't speak for other countries, but here in the UK, music television shows have all but disappeared. Top of the Pops is long gone, there is only 'Later With Jools Holland' and the numerous music channels pumping out the same 10 songs every hour. Later in the year, songs by artists performing on "X Factor" inevitably soar up the charts. Apart from this, there is nothing. These days, so 'they' say, you have to get your music elsewhere - on the radio or YouTube or Spotify, for example. Yet the success of Eurovision songs in the iTunes singles chart this year, right after the contest, suggests that there is a huge, untapped market for commercial pop music on television; a market which has not been served for a long long time. The success of Eurovision songs in the UK iTunes chart could arguably be the revenge of the disenfranchised: the UK singles chart does not speak for 'us' anymore, but put good songs on television and they will be rewarded with a chart position. UK iTunes singles chart: Common Linnets no.6, Molly no.14, Conchita no.20, Basim no.27, Sanna no.29, Pollapönk no.41, Firelight no.45. At one point The Common Linnets' "Calm After The Storm" - which between the semi-final and grand final became the biggest chart hit of this year's contest Europe-wide - had climbed to no. 4 in the UK iTunes singles chart. Several of this year's songs were also sitting in the chart between no.50 and no.100. This maybe doesn't sound like much, but in a country known for Euro(vision) scepticism, this was incredibly significant. 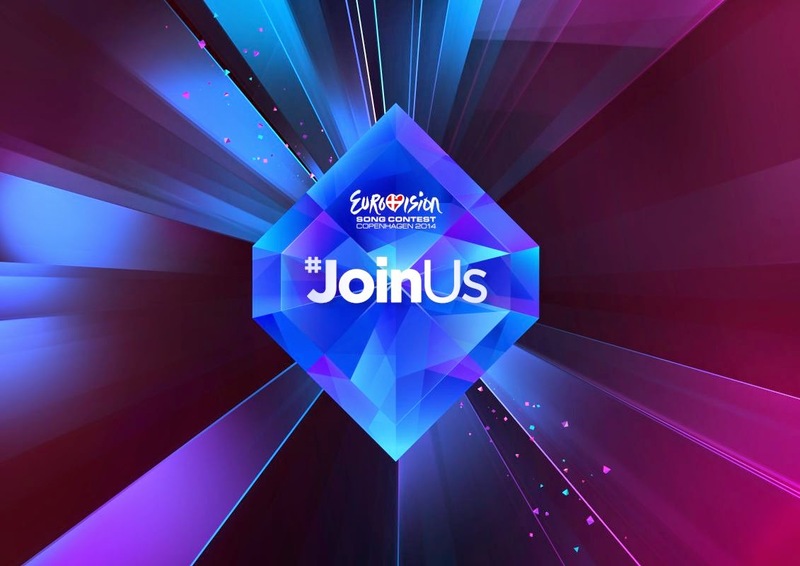 There was one further positive aspect worth mentioning this year: the introduction of BBC Radio 2 Eurovision, a 'pop-up' radio station broadcasting from 8th to 11th May on digital radio and the internet. I thought this was a rather inspiring innovation from a broadcaster whose interpretation of the contest has always seemed rooted in the past, however there were some very good quality documentaries and other programmes broadcast over the weekend. I hope they repeat this experiment next year in Vienna. Well done BBC! During one of the documentaries I listened to, they referred to the BBC's long-term Eurovision strategy which began with Molly, and you never know, one day it may end in a Eurovision winner for the UK. So you can forget those 'UK to withdraw' rumours! So to sum up, the past 2 weeks have been 'all Eurovision all the time'. And I loved it! Just as last year, the draw's been dumped in favour of a running order chosen by the host broadcaster, which big boss man Jon Ola Sand claims will make the "best possible running order". The fact remains though, that songs in the early half of the draw don't do as well as songs towards the end of the show. The UK's Molly (above) has been drawn to sing last, which has caused massive excitement in the fan community, although to temper the excitement it's worth remembering that Ireland's Ryan Dolan also sang last in 2013 and came....last. I'm sure this won't happen to Molly though: after years of has-beens, never-beens and over 60s representing the UK, there is a genuine expectation that she's going to achieve our country's best result since at least Jade Ewen in 2009, and many are even predicting "Children of the Universe" as a possible winner. Me? 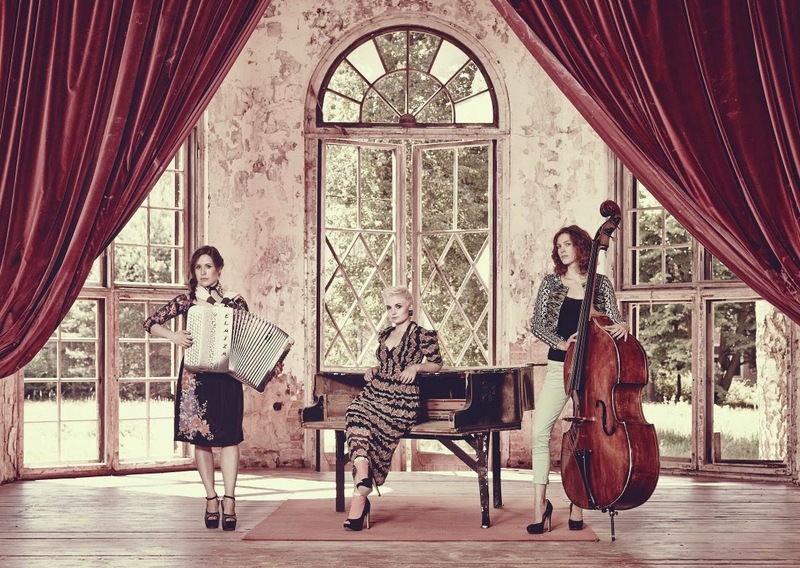 I still feel that it's lacking that certain je ne sais quoi which we expect of a Eurovision winner, but in this year where there's no obvious favourite then anything is possible. I'm very happy with the outcome of both semi-finals. When they called out Switzerland on Thursday night I thought I was going to spontaneously combust with excitement!! Of course I don't need any excuse for a gratuitous picture of the lovely Sebastiano.....I mean, really, how good can one man look in a white shirt and black waistcoat?? All my favourites qualified to the final, my only disappointment being the failure of "Cake To Bake" to make it out of Semi-Final 1; I'm also sad for Portugal's Suzy whose song gave us my favourite Twitter hashtag of the whole ESC season - #WAWAWEWAWE. I'll go into more detail in my semi-final reviews which I'm hoping to publish over the next few days. What the casual viewing public don't realise of course is that the jury final actually took place last night, which would explain if an artist receives a lot of votes despite a dodgy performance tonight or vice versa. Although it has to be said that I don't expect any dodgy performances! The artists competing in the contest have really raised their game this year. 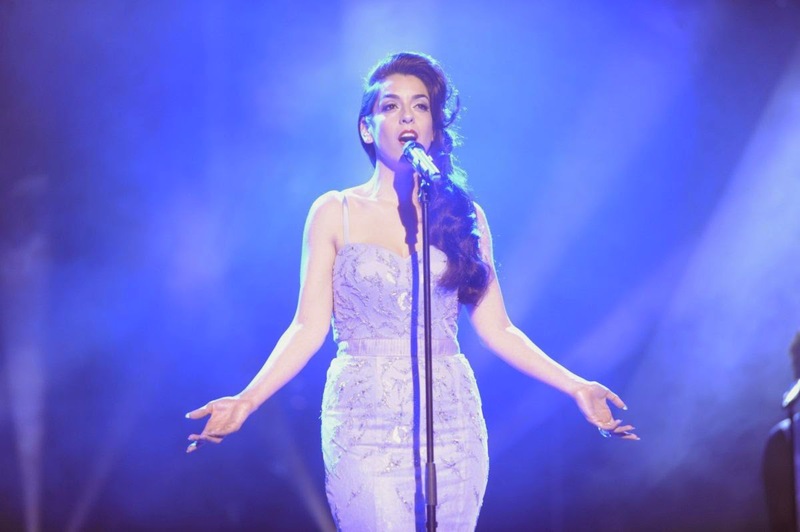 Eurovision's "haters" in the media and the general public find the contest an easy target to knock, but they always overlook the quality of the often excellent vocal performances in the contest. Fingers crossed that the contestants will all deliver tonight. The UK jury is chaired by Carrie Grant (above) who has been a very familiar face on our TV screens over the last few years along with her husband David. They are well-known vocal coaches best known to viewers for their work on Pop Idol and Fame Academy. But more importantly, she is best known to Eurovision fans as a member of stool-sliding Sweet Dreams who represented the UK in 1983 with "I'm Never Giving Up". The voting order has also been published. As usual, all countries who competed this year will vote regardless of whether or not they've made it to the final. Here's the list of 2014's jury spokespersons who will be delivering the votes tonight, and there's a few familiar names in there including former contestants. After all these years, Alcazar finally make it to Eurovision! Not as contestants of course, but as Sweden's jury spokespersons tonight. Have a wonderful Eurovision night everyone!! she can't understand it being an almost all-year-round event. she doesn't feel the need to watch the semi-finals but will never miss a grand final. every year without fail, she will pronounce at the end of the grand final - "I'm never watching this again, it's a fix!" she thinks it's all too serious these days, unlike the 'old' Eurovision filled with funny people in funny costumes - the clip show fodder. she thinks the Eurovision Song Contest is not to be taken seriously. she thinks most of the songs are mediocre/forgettable, and can't understand why we would listen to the songs for months before or after the contest, or why anyone would want to buy the DVD! She didn't like the stage set at all - the 'scaffolding' and the screens at the back are "just too much" and was unimpressed by the dazzling backdrops which she thought detracted from the songs. She thought there are too many props gimmicks and I completely agree. 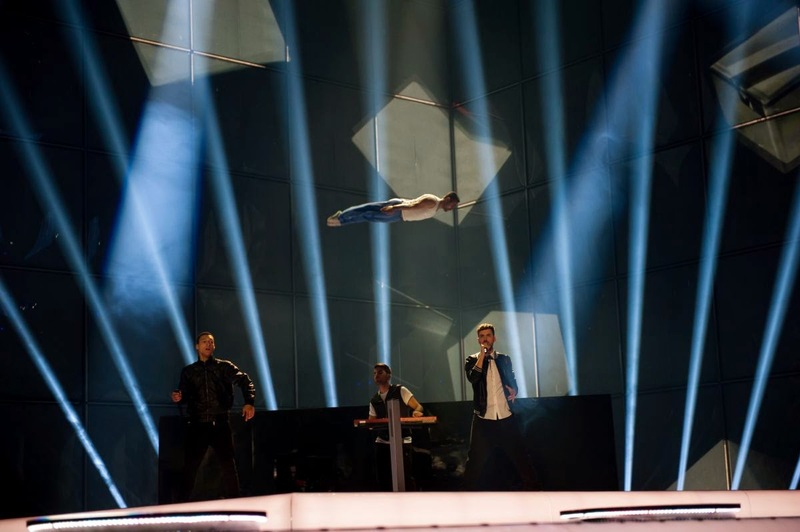 Whether it's Azerbaijan trapeze artists, Ukrainian hamster wheels, Romania's giant Polo mint/CT scan piano, Montenegro's skater and most bizarrely of all, Greece;s trampoline (Rise Up! *boing* Rise Up! *boing* Rise Up! *boing*) there is really no need for any of this. As mum said, just sing the song. Or indeed as Father Ted said, "Just play the f****** note!" She thought these gimmicks/props did the songs more harm than good. She thought "Calm After The Storm" was quite pleasant. She liked the staging of "Silent Storm". (It would appear that this year my mum is impressed by songs with "Storm" in the title). I would certainly agree with her - I think the song's staging is exquisite and classy. "Mother". *rolls eyes* "What the hell is that?" She liked "Cake To Bake" and said that there's not enough 'fun' songs any more in ESC. I then played her the full version of "Cliché Love Song" from the Danish final. She liked it and thought it would do well. I played her the full studio version of "Not Alone" and her view was that it is not a winner. She liked the first part of the song but felt the second part of the song was too harsh and ruined the song. 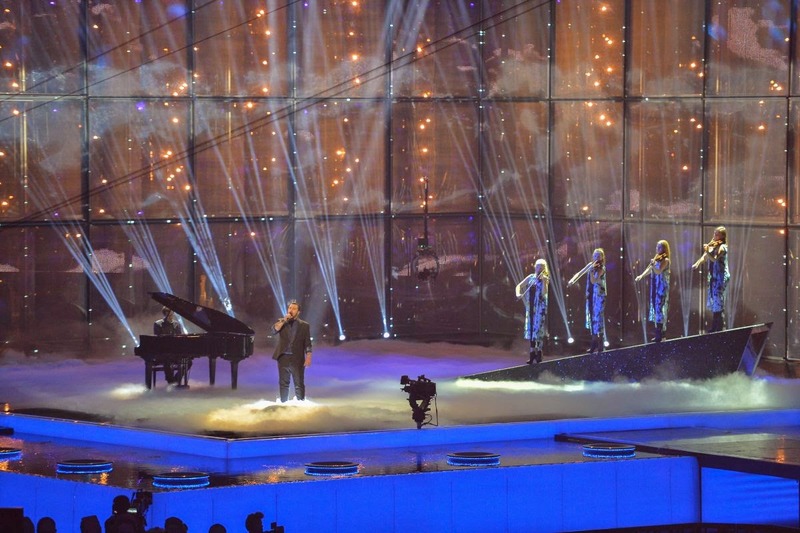 EuropeCrazy's Eurovision Preview Part 3: The Big 6 - Scooba-dooba-dap-dap-di-di-die! When I heard this song for the first time, I got a spooky feeling when hearing it: the same spooky feeling I felt when I heard Tanel and Dave's "Everybody" for the first time, in 2001. Which, coincidentally was the last time that Copenhagen staged ESC....yes, the year Denmark came very close to winning for the 2nd consecutive year. History repeating? Or can they go one better? There's a killer draw position (23rd in the final) and in any other year I think this would scream 'potential winner' and the only thing holding it back will be the host-country factor, as these days it would seem that people don't want the same country to win twice in a row. It's a mix of Bruno Mars and "Scatman" and is insanely catchy. 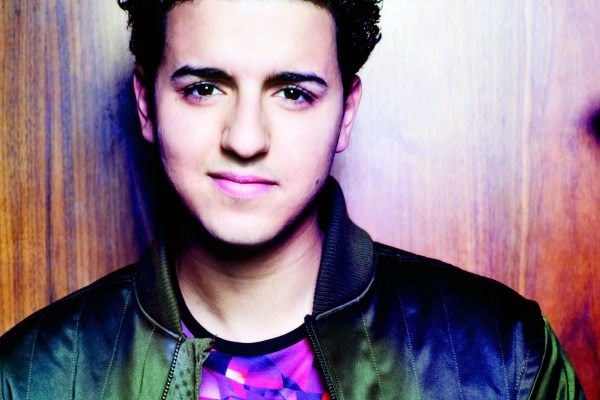 Basim gave a well-staged, charismatic performance at DMGP and I think he'll charm viewers all over Europe. Again, this song has a bit of a Marmite factor about it, and it has as many haters as fans. I only heard it once and it was stuck in my brain. This for me is definitely the most instant of all the Big 6 songs. It's contemporary and memorable - just what's needed from a 21st century Eurovision winner. Crikey, France had a national selection this year, even if it was tucked away on Sunday afternoon's "Les Chansons d'Abord" (a weekly music show which was also broadcast on TV5 over here if you've got Sky TV). 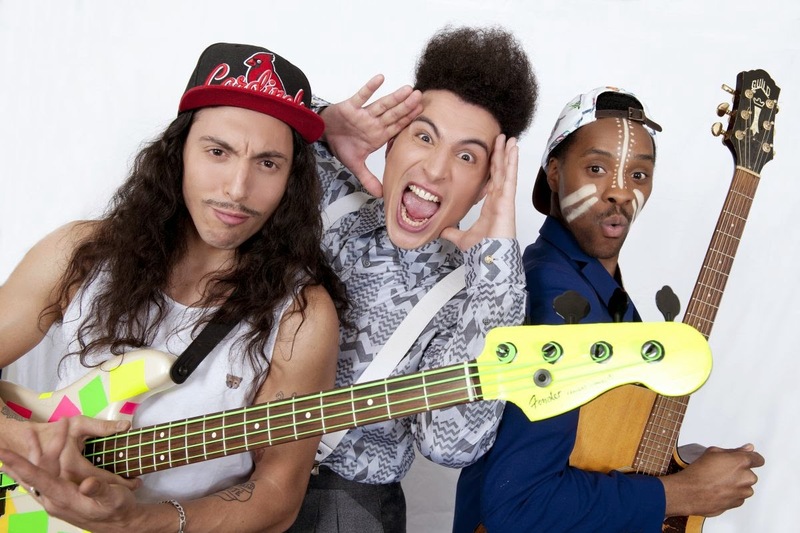 TwinTwin, Destan (Une Direction) and Joanna Lagrave (ex Star Academy) were the finalists, and we had to wait a few weeks for the result of the viewers' vote. France chose "Moustache" - a song with a very catchy chorus and a deeper message which probably won't register with the viewers.Over the past few weeks this song has totally grown on me, and I think it will do well with the televoters. Although I suspect it will not do so well with the juries. It has been highlighted in internet land that the verses are very influenced by the first verse of Stromae's "Papaoutai" which was a big hit in the European charts last year. Will familiarity work in their favour, or breed contempt? Some bad things happened in the German final. A dodgy presenter. An even more dodgy performance by Emma Marrone. And a guest appearance by Emmelie de Forest which begged the question - is she destined to wander forever through life dressed only in beige? Give the girl a bit of colour, she deserves it! Worst of all, I couldn't believe my eyes and ears when this unknown act beat Unheilig in a David vs Goliath final. Unheilig would have been a brave and credible choice, and even "The Fiddler on the Deck" was better than this irritating slice of accordion-powered oompah-reggae. The lead singer will need to have significantly improved her vocal performance since the German final if the song is to have any chance of a decent result. You'll have guessed by now that I'm not a fan of "Is It Right" (known at EuropeCrazy HQ by the alternate title "Is It S****") and couldn't care less about how it performs in the final. But I'm not bitter, honest. *Goes off to play Unheilig's greatest hits followed by Fiddler on the Deck* Oh, there was one great thing which came out of the German final for me: Candy Jar by MarieMarie. Now that would have been an amazing choice to represent Germany! So, we have a Spanish singer who was a UK X Factor finalist, with a bilingual song with an English title. She'll certainly get lots of attention in the British media at the time of the contest. It will probably get a very respectable result but it's no "Quedate Conmigo". I think this is one of the most overrated songs this year, yes she does have a strong voice but my mum would call her a "squealer" and we're not really keen on this type of singing. And when THE RAIN! THE RAIN! kicks in, it's more than I can bear. We all enjoyed playing the UK Eurovision rumours game, didn't we! From Rylan to Geri Halliwell and what felt like a million other names later, the BBC revealed that it was turning its back on the over-60s for a new approach this year, via the BBC Introducing process. We even got a 'reveal' show, even if it was only on the Red Button channel, but I guess with the UK entries we should probably be thankful for even that. Molly (please say she'll just be known as Molly!) is an unknown name but her vocals have already featured on the Sash!/Stunt hit "Raindrops" so she's got good vocal form. The lyrics are maybe just a bit too cliched - 'children of the universe'/'dancing on the edge of time'/'power to the people' - but on the evidence of the reveal show, she performed the song well. And at a time when the world around us is in ever-increasing turmoil, the 'power to the people' hook could strike a chord with the televoters and juries. Molly S-D looks like Emmelie de Forest's older sister (one of the legendary Eurovicious' 'manic pixie dream girls') and if they get the staging right it could be the left side of the scoreboard for a change! With just days to go until semi-final 1, I am still none the wiser about who is going to win this year! *sits on fence* but I'm just hoping for great shows and memorable performances. I'm sure that DR will deliver a great show and finally make us forget the horror that was 2001! !